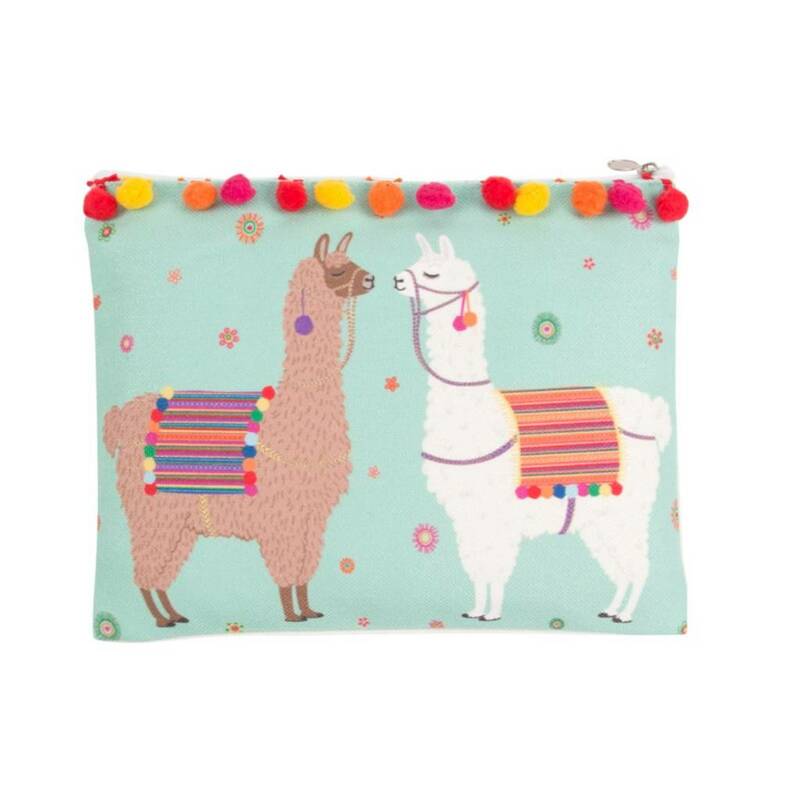 If you can't trust a couple of lovely llamas with pom poms to take care of your pennies, who can you trust? Featuring a brilliant pop of luscious green and two lovely llama illustrations. 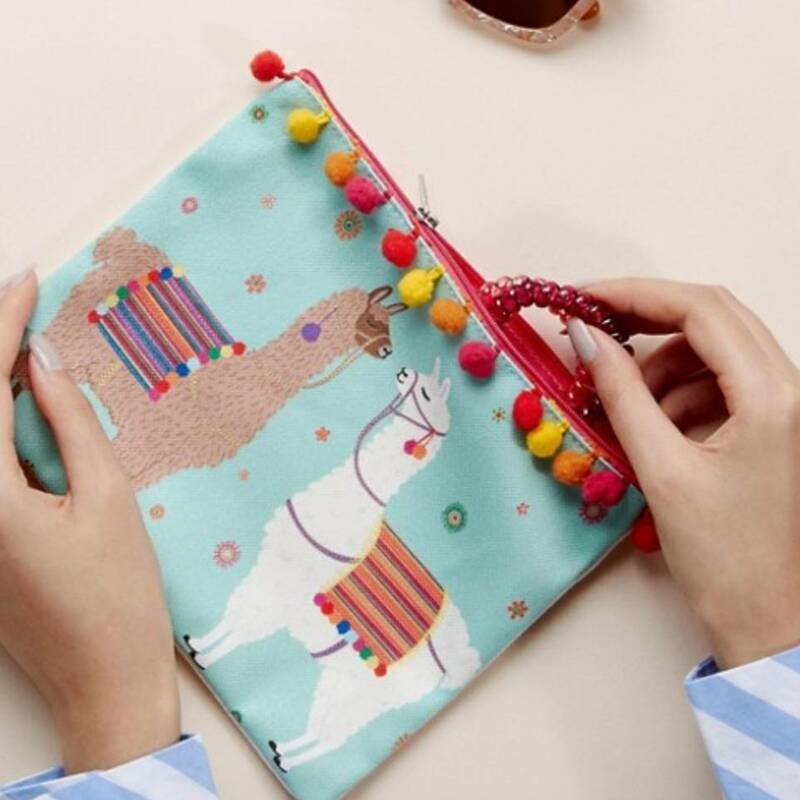 Framed with pompoms this cute pouch will bring a smile to anywhere it goes .. This product features the pattern on one side and a lovely, clean canvas on the reverse.